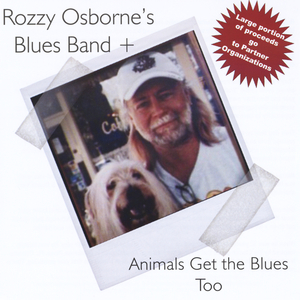 Roger "Rozzy" Osborne is a Guitarist, Vocalist and Songwriter, (born in Indiana 1952) who's dedicated his life to helping and caring for animals. Osborne and his wife Donna got their first dog together... he took the dog, who he found on a country road where someone had dumped her out. Donna was pleased and they named her Woof. The rest is history on their long journey of having and taking care of animals, even some that did not belong to them. They have owned and rescued an uncountable number of cats and dogs over the last 37 years. If you like Albert Collins, Albert King and a little Clapton, you will want this Cd. Great Cause and Great Blues, help the non-prof.